A fun year-round family project is worm composting. If you'd prefer composting without worms, that's fine. Here's what to do. Composting without worms can be just as successful as the wormy variety. This process takes a couple of months because you have to wait for stuff to decay. Add garden wastes such as grass clippings, leaves, or plant prunings. Avoid anything big or woody because it won't decompose quickly. If you don't have a good spot on the ground in your yard for a compost pile, consider getting a plastic composting bin . You can even get rounded composting bins that you roll instead of turning . Kids love this type. When your heap is about 3 feet tall, cover it with 2 inches of aged manure, which is available at garden centers. Water the pile, cover it with black plastic, and let it cook. It will get very hot inside. Turn it with a pitchfork about once a week so that everything "cooks" consistently. The more often you turn it, the faster it cooks. If it doesn't cook, add more manure. 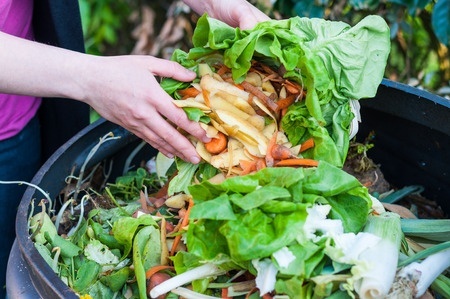 Continue to feed your compost pile with garden waste, sawdust, manure, table scraps, coffee grounds, eggshells, and shredded paper every week. Keep the soil moist but not wet. (If it starts to smell, it's too wet.) To keep flies from laying eggs on it, be sure to cover the scraps with soil. Also add more paper or yard scraps each week. When composting without worms, your compost should be fully cooked and ready to use as new soil in your garden in about two months.